The 2018 Fort Wayne Hamfest will be held on November 17th and 18th at the Allen County War Memorial Coliseum and Exposition Center, located at 4000 Parnell Avenue in Fort Wayne (at the corner of Parnell and Coliseum Blvd). 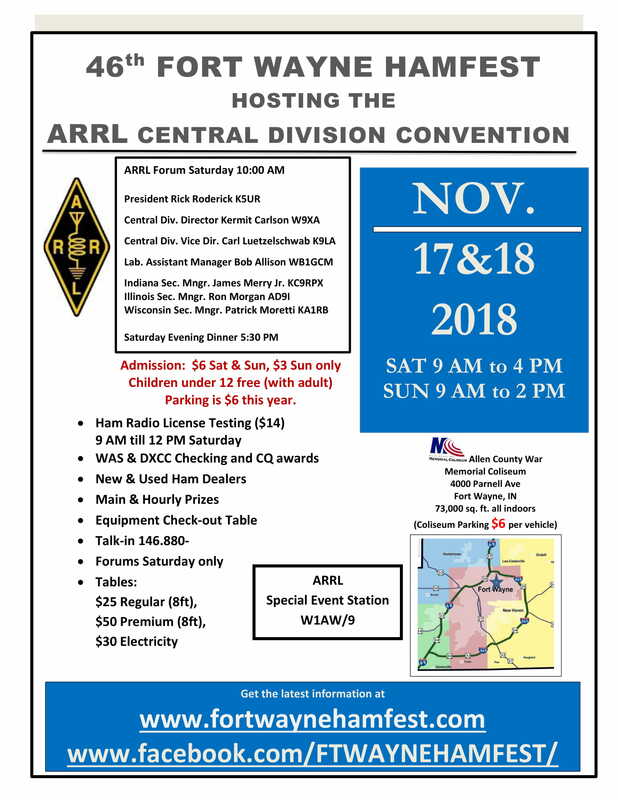 2018 will feature the ARRL Central Division Convention at the Hamfest. See main webpage for direction and ARRL Banquet reservations.